Whether you're launching a new freelance writing business or wondering why you struggle to attract the "right" kinds of clients in an existing business, your branding is something you can't afford to ignore. More than that, for most freelancers, your brand is you. Instead of a traditional business brand, you'll focus on personal branding -- where your professional image revolves around who you are, what credentials you have, and the value of what you bring to the table compared to the competition. This is why the insta-expert types generally don't survive as freelance writers for more than a few years. Their personal brand is built on a bed of lies. They can paint a picture of the professional image they want people to buy into. But there's no substance behind it, so that pretty picture soon starts showing cracks and ultimately gets washed away. Building your personal brand isn't just about how you make yourself look to clients, or how you position yourself in your market. You have to have that foundation. You have to build the real skills and earn the credentials that make you stand out. Your personality can't just be a show (coming from the PR world, I can tell you there's nothing more transparent than people who puff themselves up trying to look more successful than they are or trying to look like do-gooders when there's no real substance or effort behind the public face they put on). So think about the personal brand you want to build, and how you can do it in a way that's both real and sustainable. That's how you'll build something lasting that leaves you room to grow. 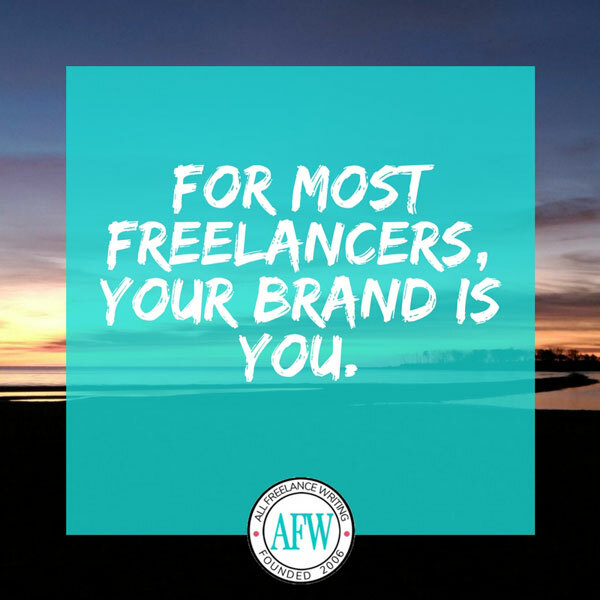 In this post, McDowell covers some of the bare bones basics you'll want to know about personal branding as a freelance writer. While there isn't much on conveying your brand here, he gives you an easy way to think about your brand as a freelancer, beginning with your personality and how you perceive yourself. This post goes beyond personality to offer some practical beginner tips towards building your personal brand as a freelance writer. That ranges from building a social media presence to being someone who actually delivers on their promises -- while you'll have a unique voice, in business (as in life) honesty and reliability should always be a part of that. What I love about this post most is its focus on authenticity. At its heart, your personal brand is who you are -- just highlighting the aspects most attractive to your target clients. If it's going to work, it has to be real. Kumar also helps you get a feel for personal brands by looking at those built by well-known entrepreneurs who have personal brands beyond their companies. What if you're already an established freelance writer, but you aren't happy with your personal brand? What if you want to move into a new market, but you aren't sure you can start over? This article can help you use your past as a stepping stone to the future you want to build with your brand rather than letting it hold you back. 5. Should You Build a Personal Brand or a Business Brand? Before you rush into planning your personal branding strategy, make sure a personal brand is the right choice for you. As a freelancer you can choose between that or branding under a business name (I do both -- pushing services mostly under my name but with a branded domain name, ProBusinessWriter.com, and also with an umbrella company name for services, my web publishing work, and indie publishing projects). This post gives you a good introductory rundown between the pros and cons of each. 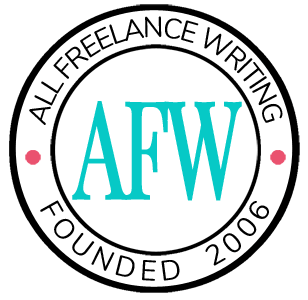 Do you have questions about building a personal brand for your freelance writing career that these posts don't cover? Submit your questions, and I'll consider answering them on the blog for other freelancers who might be wondering the same things.